Carefully selected machines rebuilt and upgraded to offer high quality and efficient latest generation models. With full warranty and expert support, perfect for keeping your costs under control while your business grows. Now available with Biodegradable film compatibility. 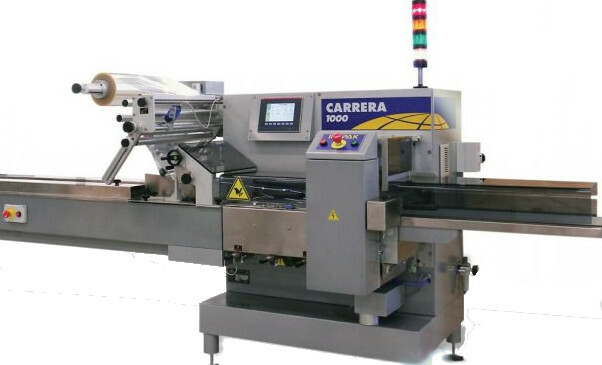 This Ilapak Carrera 1000 is a mid range general purpose flow wrapper. Configured by us with either a fully adjustable fold-box or fixed fold-box to suit your application. Upgraded to the latest specification it is ideal for a wide range of applications and product sizes. 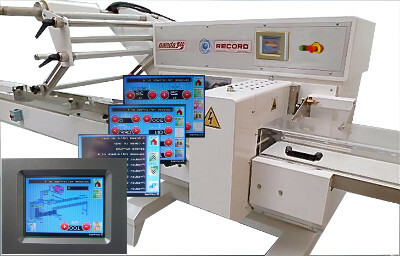 Record Scorpion is a popular small foot-print high quality flow wrapper. Fully rebuilt and internally upgraded to a full multi-motor version. Perfect for a small bakery or similar businesses with a lot of different short run products. 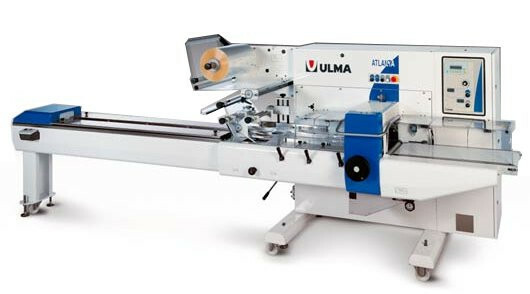 The Ulma Atlanta is a top of the range model. 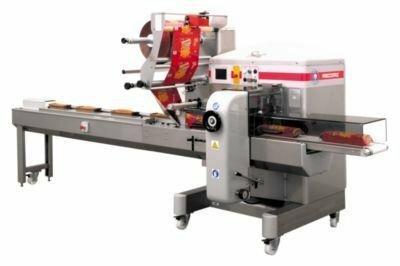 Powered film unwind, barrette transfer, air driven film reel mandrels and choice of infeed lengths are some of the features available. Refurbished, configured to suit your application and upgraded to the latest internal drive system this machine is ideal for a demanding environment. 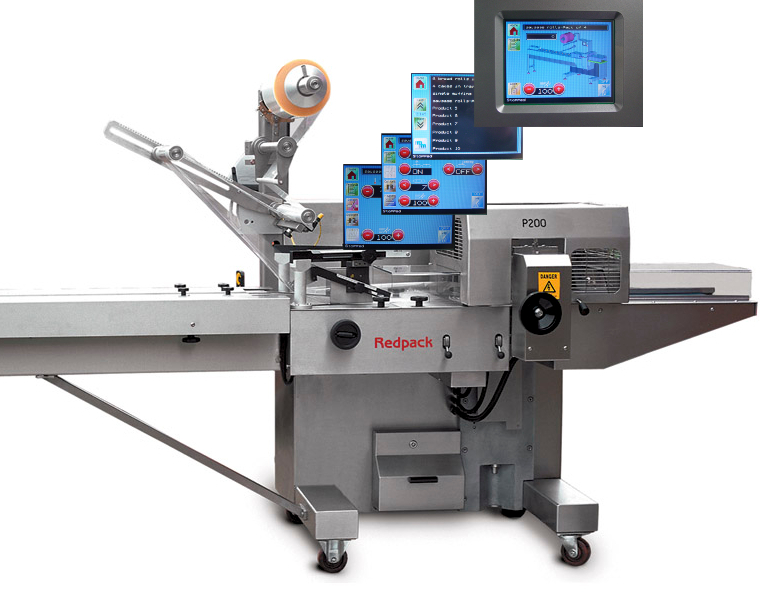 The Redpack P200 is a heavy duty but small footprint flow-wrapper, this one in full stainless steel construction. 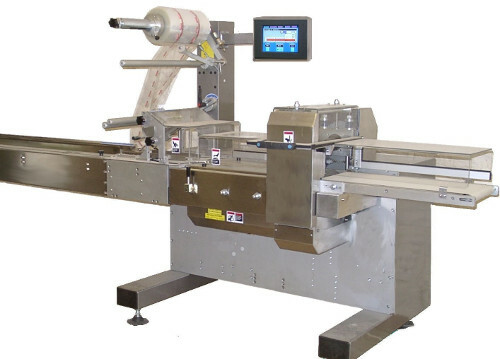 It is fitted with the optional barrette transfer unit which makes it ideal for short, ustable or heavy products which require assistance in passing through the jaws. 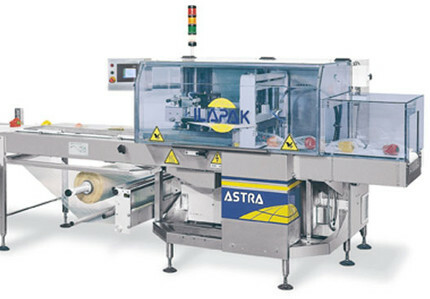 The Ilapak Astra has an inverted long seam sealing unit, box motion long dwell jaw and belt type infeed conveyor. Designed for packing difficult or loose items and providing a high integrity seal. It is ideal for both difficult or loose products and compatible with gas flushing (MAP) applications in which the pack must be hermetically sealed to a high degree. 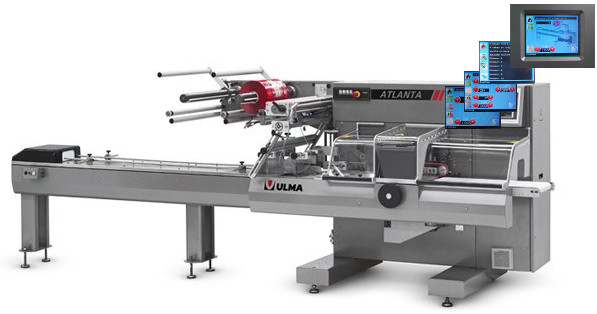 Based on an Ulma Atlanta heavy duty flowrapper with special automatic infeed transfer and custom built in-line automatic feeder. 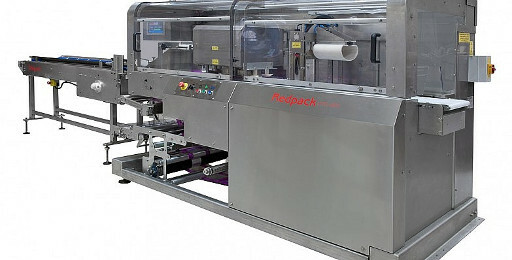 It accepts products directly from your up stream process and queues and synchronises them with the packing line. A rare opportunity at a fraction of the price of a new bespoke packing line. An 'old school' heavy duty Record Panda 1000 - as tough as they come! Fully rebuilt from the ground up and with all new internals to give it features and performance to beat most new machines. A small foot-print Delfin Carina rugged flow-wrapper. These small but well built machines are perfect for restricted space without compromising quality. Fully rebuilt and fitted with our usual multi-motor internals, it has all the latest features and ease of use. Strong and reliable, it was originally manufactured by the same company who supplies components for our own new build machines. 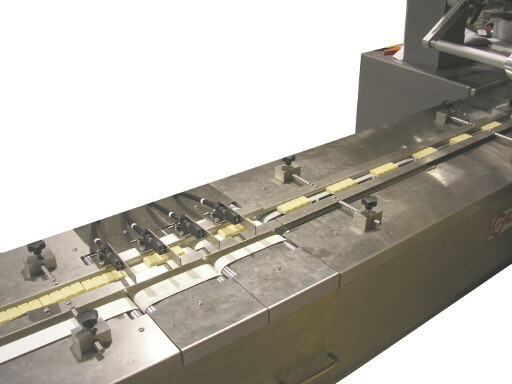 A latest generation box motion machine designed for high integrity sealing. The inverted film unit is ideal for loose or difficult products. With all new internals this is a superb quality heavy duty machine - at a fraction of the new price. Suitabe for high integrity gas fluhing (MAP) applications. Our stock is continually changing so if you have a specific make and model or application in mind please call or email - we may be able to progress a suitable machine ahead of its currently alloted schedule. All our flow wrappers come with the correct fixed or adjustable folding/forming boxes and size change parts matched to your application. 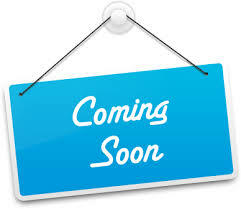 Optional automatic sell-by date printers by ICE, Markem, Polar or Needham are also available. All machines include a long warranty and expert on-site backup and support.